Doors happen to be one accessory in the house that has very little amount of experimentation done on it. So when I came across these folding doors by Jeld-Wen, I was quite taken over by their beauty and concept, and decided to share it with the readers. 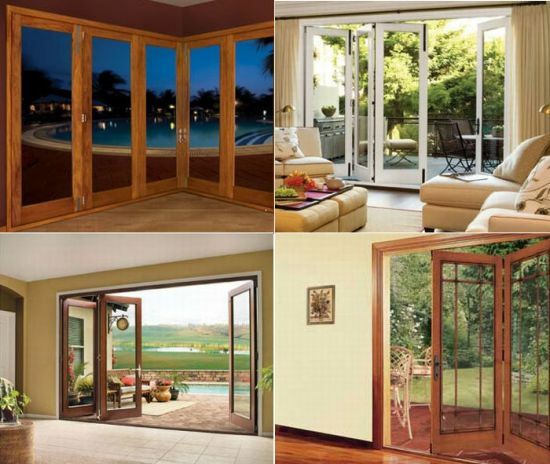 The fantastic folding door systems are an innovative option that promises to enhance the décor of your home, besides making some more space for better use. The systems works depending on the style that you go for, as each section smoothly slides on an overhead track and consequently folds away for giving you space to enter or leave the room. By folding these flaps, you get an expansive opening, quite like getting out of a three walled room. Quite a beauty for the summers, as you can enjoy the summer breeze in ever nook and corner of the room. You get a variety of designs to choose from and you can settle for the one that best suits your abode.